Walt disney fã Art - Vanessa from "The Little Mermaid". fã Art of Vanessa from "The Little Mermaid". HD Wallpaper and background images in the Vanessa from "The Little Mermaid" club tagged: walt disney walt disney fan art the little mermaid vanessa. This Vanessa from "The Little Mermaid" fan art might contain anime, banda desenhada, manga, desenhos animados, mangá, and quadrinhos. 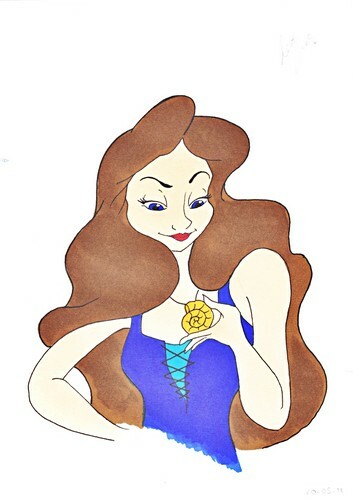 Walt disney fã Art - Vanessa from "The Little Mermaid"